The protests in Turkey started on May 31, just as we began the move to Minneapolis. No sooner had we unpacked our toothbrushes when I started a summer teaching job. It was a perfect storm of busy adjustments, and thus I haven’t attended to my blog. The other night, however, Sankar and I were privileged to have dinner with one of the smartest, most perceptive Turks we know. I will call him Omar. Omar has spent years both in the U.S. and in Turkey, and views the polarized situation there (strict Kemalist secularists versus those who are more religious) from the almost completely unoccupied middle ground. Omar is not religious but remarkably, he has good words for the current prime minister, Recep Tayyip Erdoğan. He believes Mr. Erdoğan has done a superb job with the Turkish economy and is close to finalizing an agreement with Turkey’s Kurds that will greatly ease the country’s fear of terrorism. Omar does want Mr. Erdoğan to tone down his dictatorial tendencies (tendencies many Turkish leaders display) and for that reason, he thinks the demonstrations are healthy for the country. He even took his 7-year-old daughter to one of the protests. It was a fair-like atmosphere, he told us. People selling food, mingling, a lot of good will. Not at all dangerous (although there was violence early on, and the situation hasn’t yet concluded). I asked Omar if the two sides in Turkey, perhaps inspired by recent events, would ever find common ground. No, he replied. Never. He did say that the planned shopping mall in Gezi Park is now a non-starter. But he believes Erdoğan will prevail until the end of his term – because Turkey’s strong economy is ultimately of most importance to its citizens. As far as conservative laws Mr. Erdoğan has passed, Omar says that the new alcohol rules in Turkey, which prohibit retail sales between 10pm and 6am, ban alcohol advertising and promotion, and prevent liquor stores and bars from opening within 100 meters of schools and mosques, are similar to laws in the U.S. The secularists worry that small changes will eventually lead to outright prohibition. The New York Times reported last Friday that Erdoğan has a tendency to rule emotionally, and that he likes to micromanage, getting involved in decisions as small as bridge lighting (!) and seeing fit to advise Turkish families on how many children to have. My ex-expatriate’s take on these events? In recent days Mr. Erdoğan has blamed the foreign press for presenting false images of Turkey. I find that not only offensive, but immature. 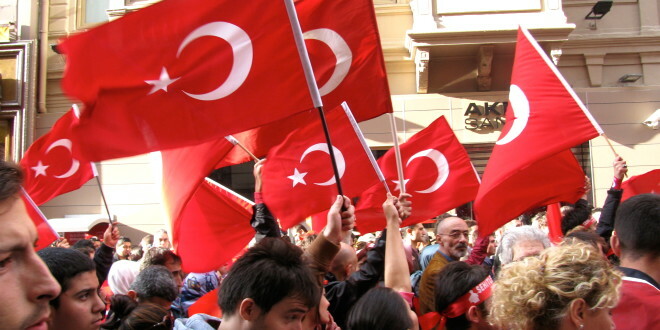 It is time for Turks to stop believing that other countries are conspiring against them. I’d also like to see more understanding between Turkey’s secular and religious citizens. Orhan Pamuk, Turkey’s Nobel laureate, laments in his memoir, Istanbul, the “spiritual void” that he believes characterizes Istanbul’s secularist, westernized families. He writes that the Turkish Republic’s founding father, Kemal Ataturk, stripped religion of its power for many Turks, leading them to believe that being pious would drag their country down, making prosperity and modernity harder to achieve. He writes that the country’s secularists confront “the most basic questions of existence—love, compassion, religion, the meaning of life, jealousy, hatred—in trembling confusion.” That is the real pity. Thanks for your take on the Turkish protests. Very interesting! But the protests aren’t between secular vs more religious: the issue at stake is democracy. Almost everybody would agree that the AKP has done some really excellent things prior to now. It was after 2011 that the PM started to show his true colours. The point about the drinking laws is that Turkey doesn’t have a drinking problem to start with so it was really unnecessary for him to step in here. This situation could perhaps have been contained if only Tayyip had sat down with the protesters right at the beginning and opened up a dialogue with them instead of being so dismissive of them and the issues. They were only being democratic after all. None of us knows how it is all going to work out …. Good points, Claudia. 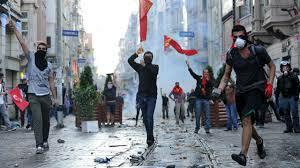 I think the protests will (eventually) lead to better governance for Turkey. There are surely a good deal of details like that to take into consideration. Which is a great point to bring up. I give the thoughts above as general inspiration but clearly you will find questions like the 1 you bring up where by far the most critical factor will be operating in honest very good faith. I don?t know if finest practices have emerged around items like that, but I am confident that your job is clearly identified as a fair game. Each boys and girls really feel the impact of just a moment’s pleasure, for the rest of their lives. Hello would you mind letting me know which webhost you’re working with? I’ve loaded your blog in 3 different internet browsers and I must say this blog loads a lot faster then most. Can you suggest a good internet hosting provider at a reasonable price? Thanks a lot, I appreciate it! I just want to mention I am all new to blogging and actually liked you’re blog. Most likely I’m going to bookmark your blog post . You really come with awesome stories. Many thanks for sharing your website. We provide all the supplies, lighting and decorations. ADT has over 6 million customers, over 120 years of experience, and a globally recognized brand name, it’s no wonder Protect Your Home, an authorized ADT retailer, is at the top of our list. It’s the #1 home security provider in North America and has been an industry leader since 1870 with the invention of the first telegraph-based alert system.